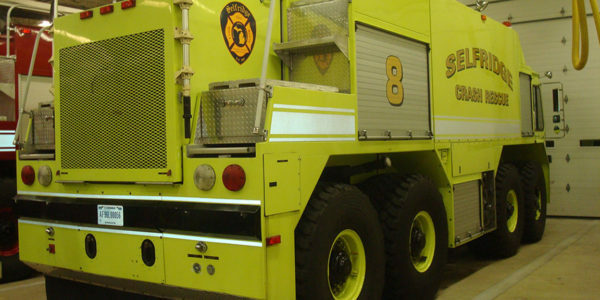 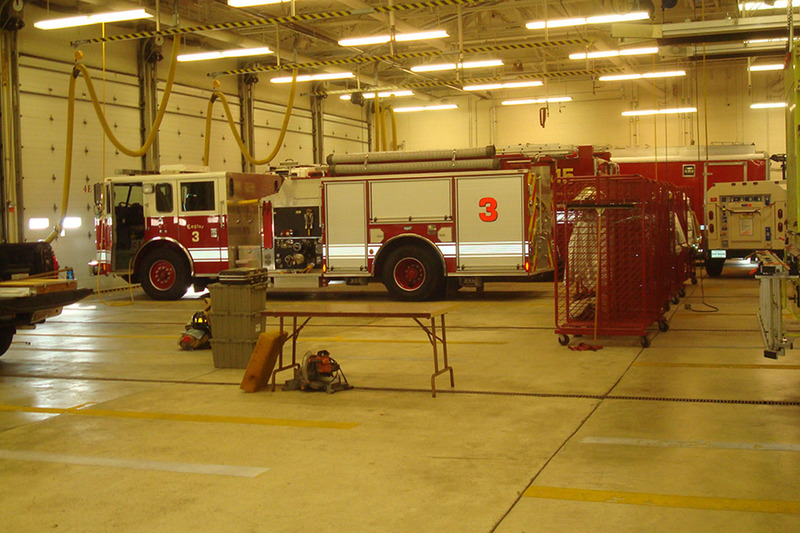 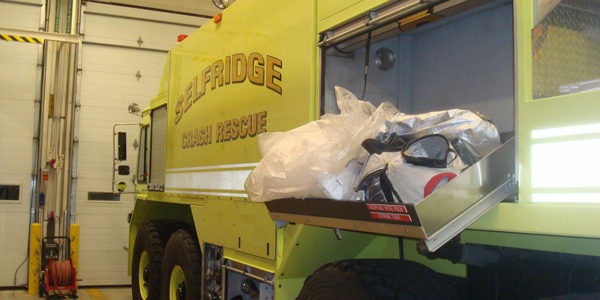 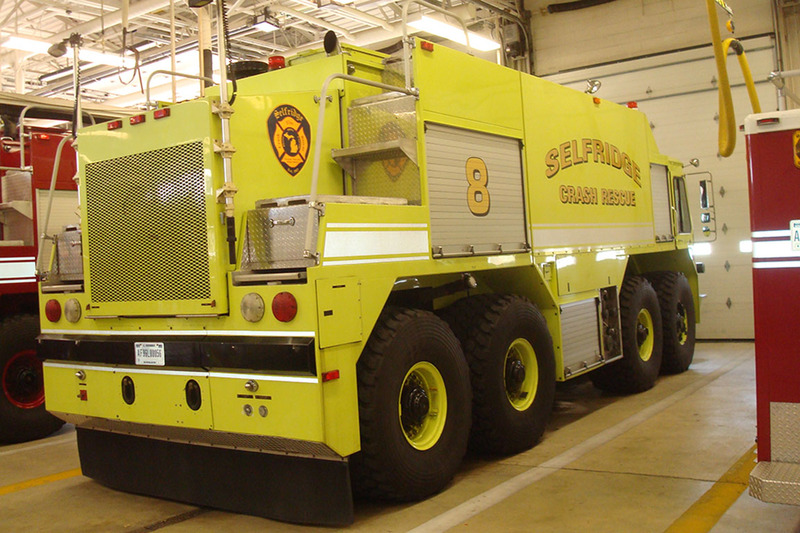 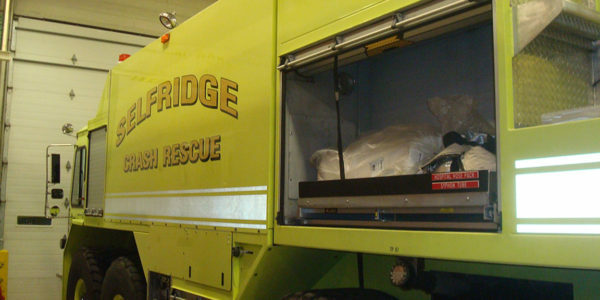 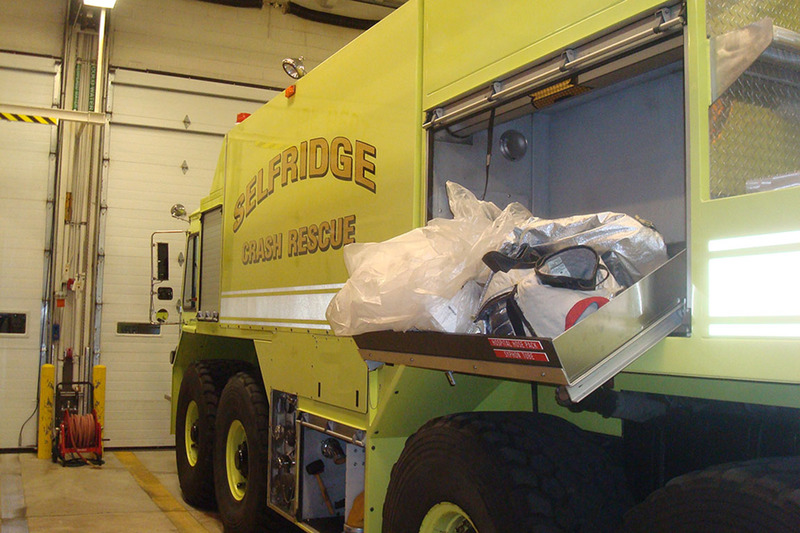 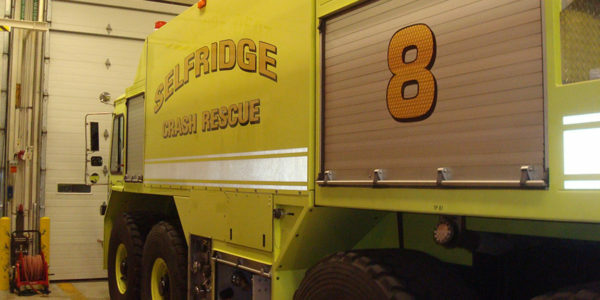 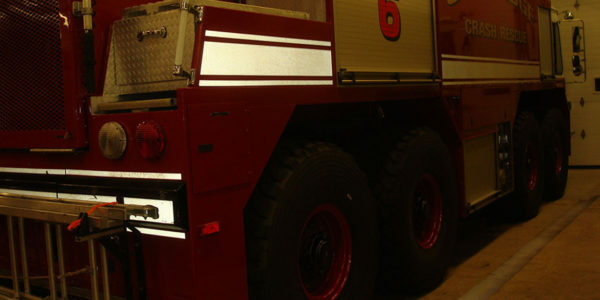 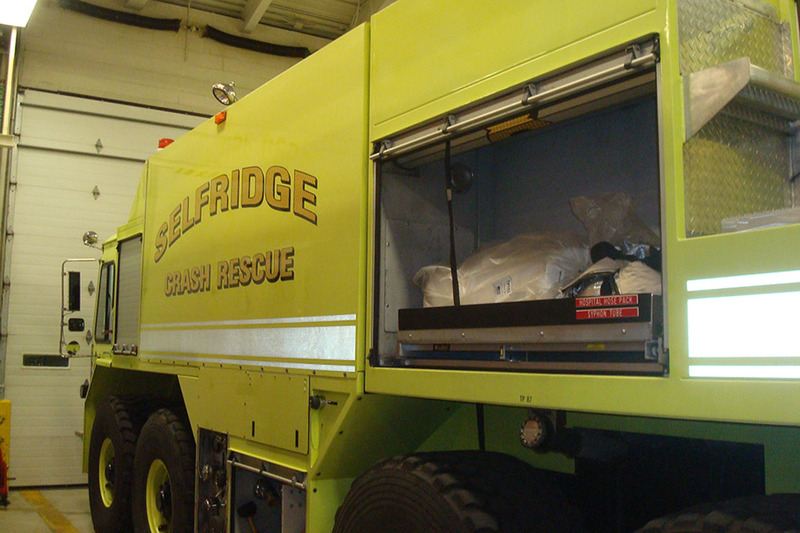 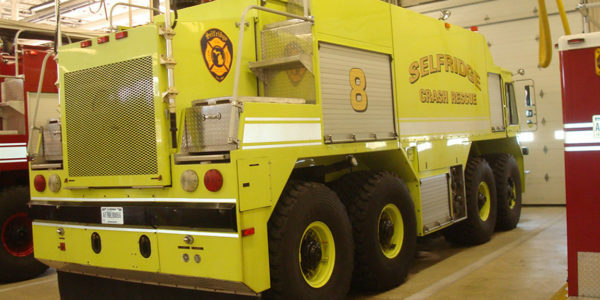 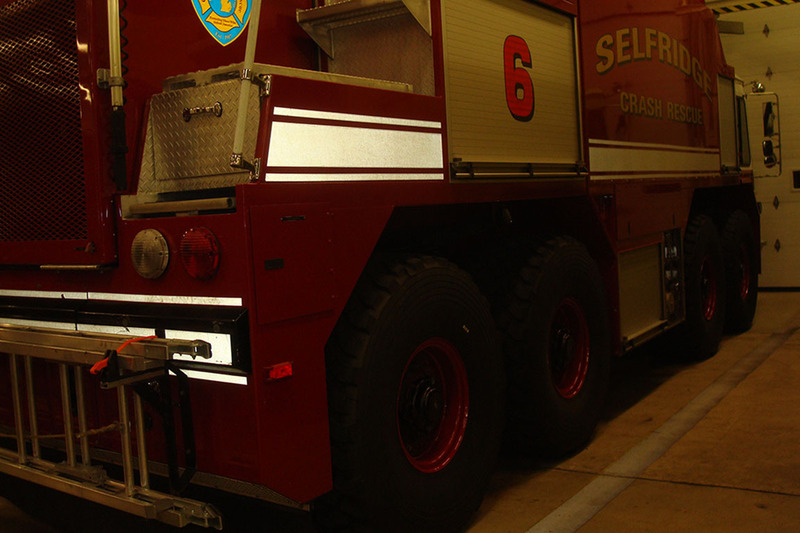 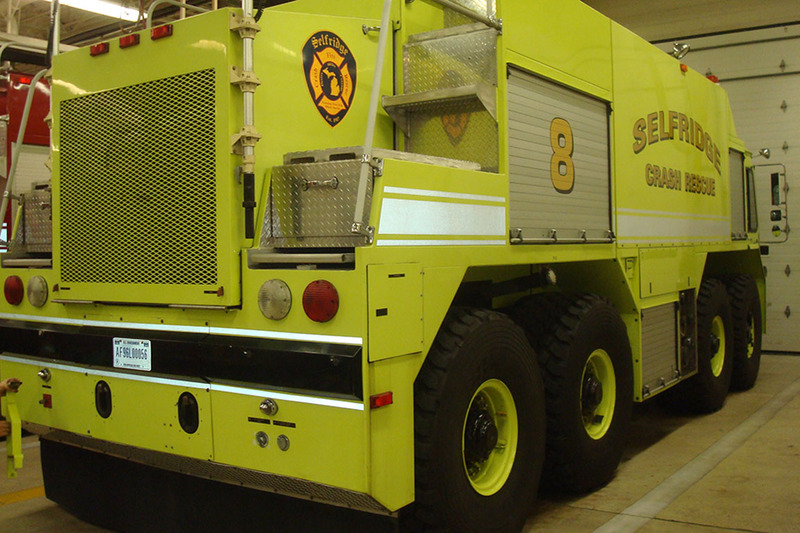 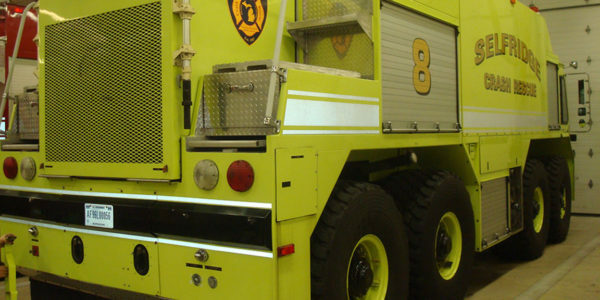 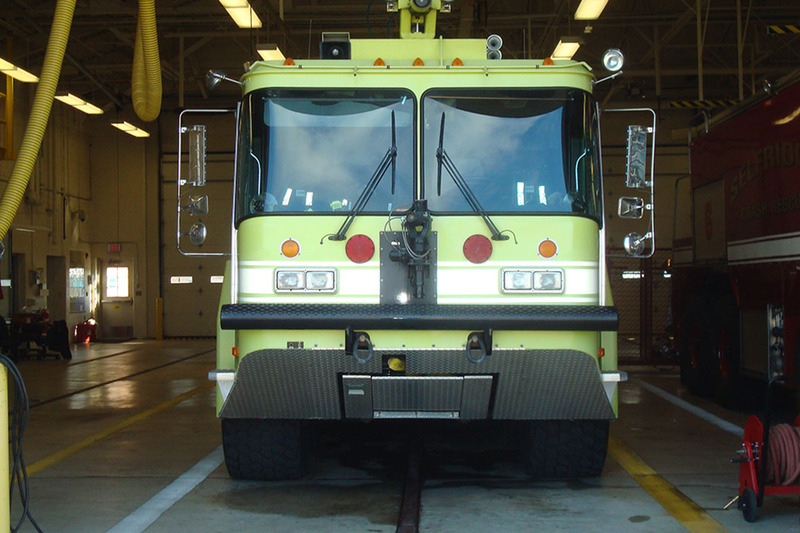 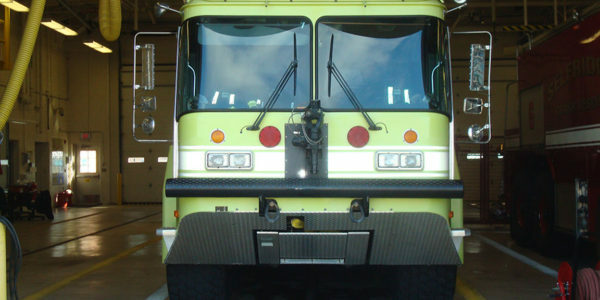 Since 2011, Sensible Products Inc. has been outfitting the entire fleet of fire apparatus at Selfridge Air Force Base in Chesterfield, Michigan. 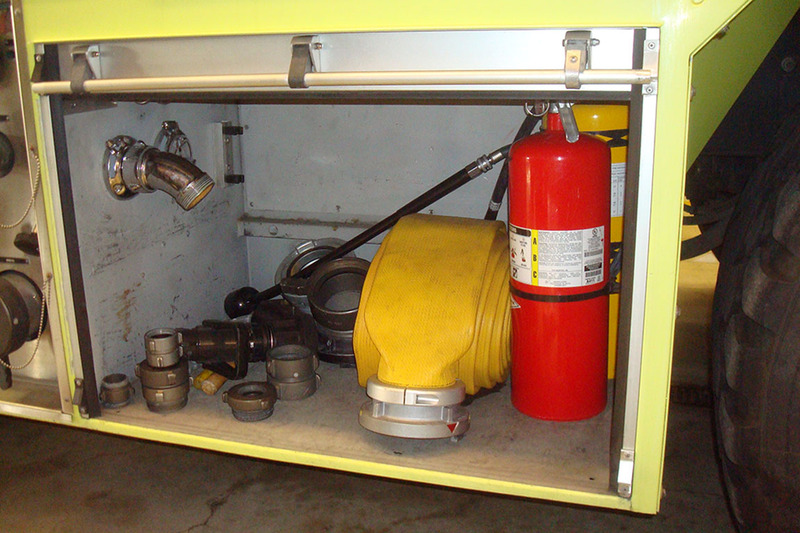 In November 2016, Sensible Products returned to outfit a new Crash # 8 apparatus. 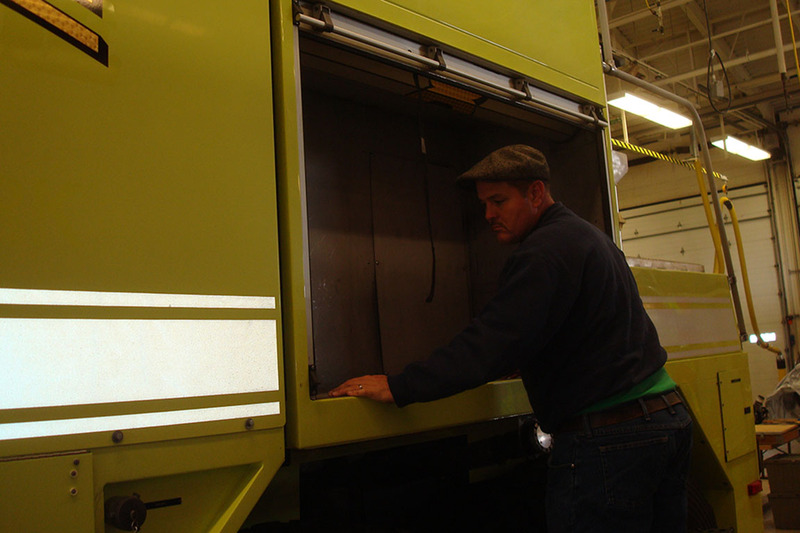 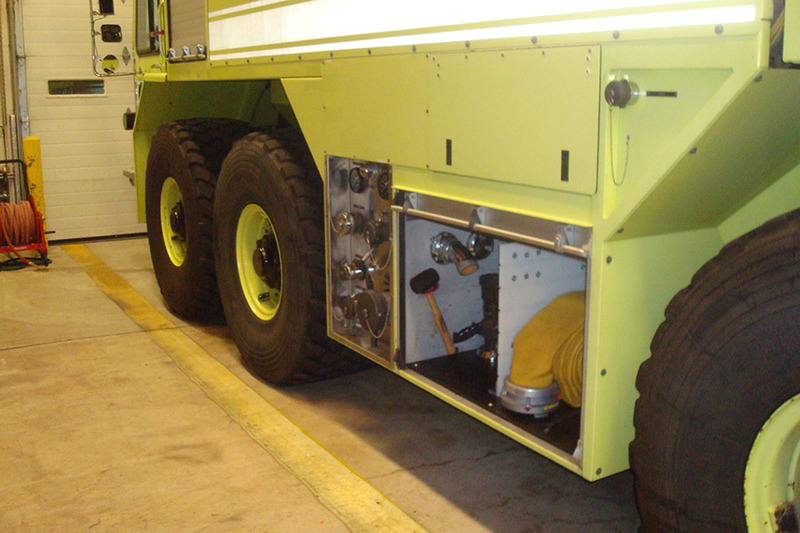 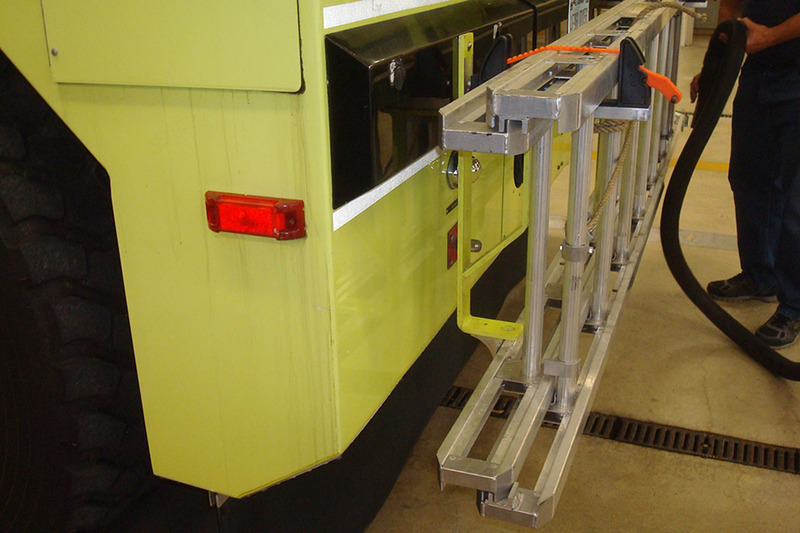 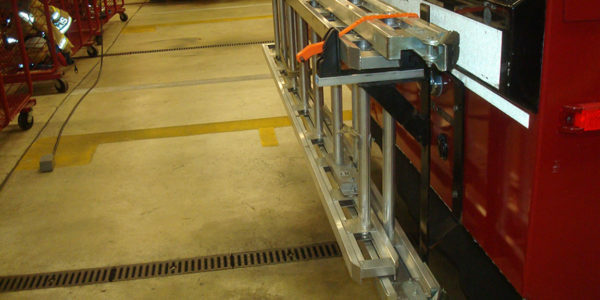 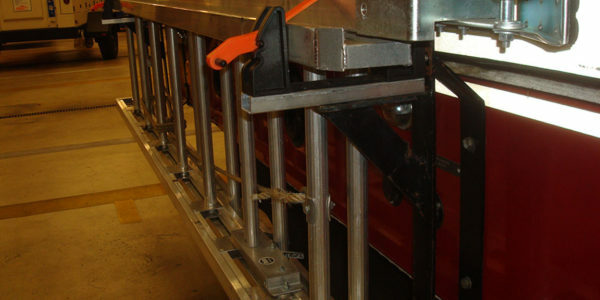 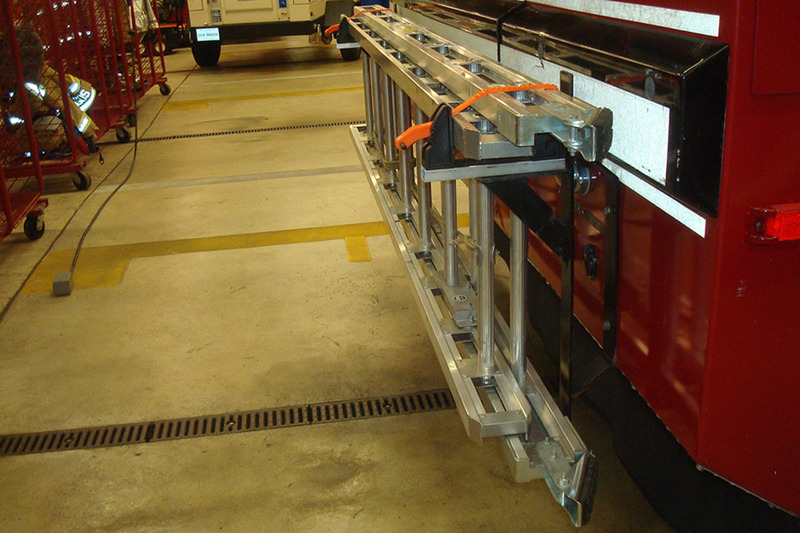 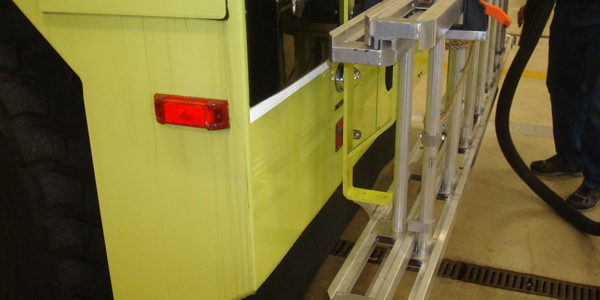 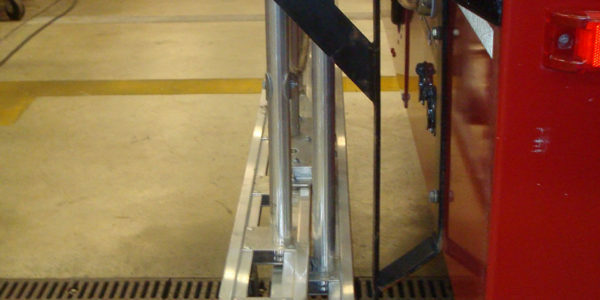 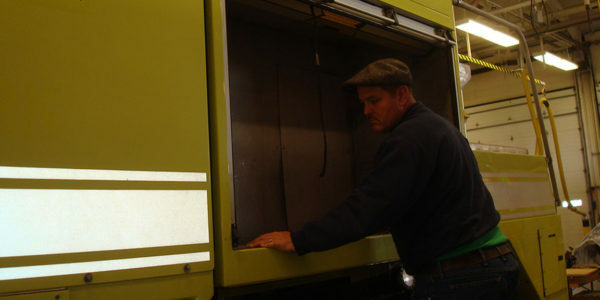 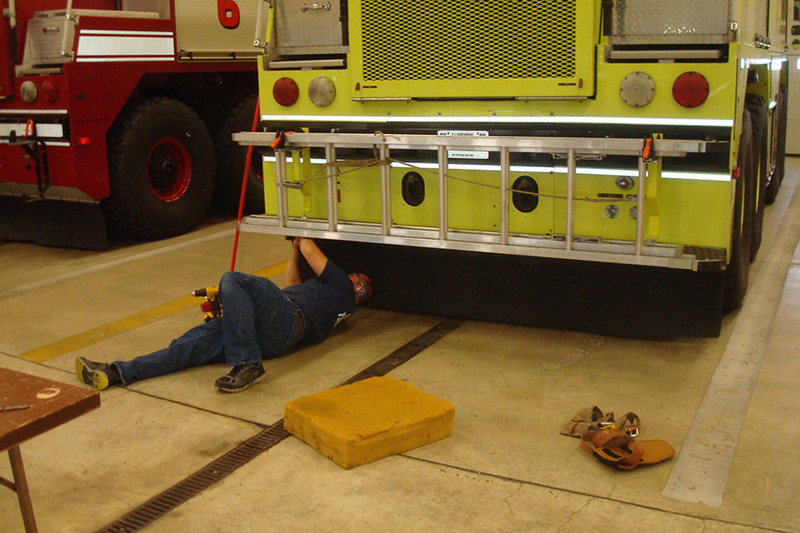 Sensible Products worked with the Air Base personnel to determine what needed mounted on the truck. 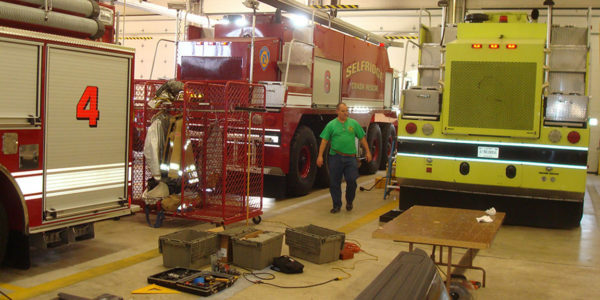 All mounting equipment needed to complete the truck is packed up as well as packing up the shop to do all the work on site at the Air Base. 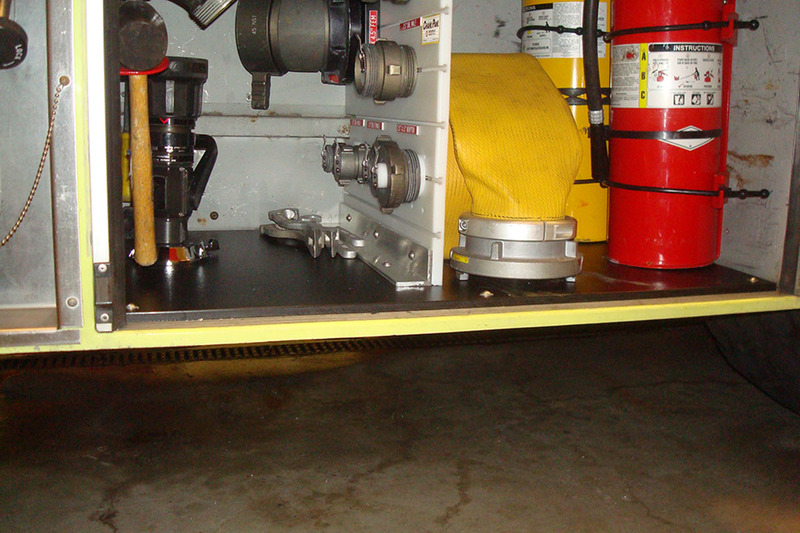 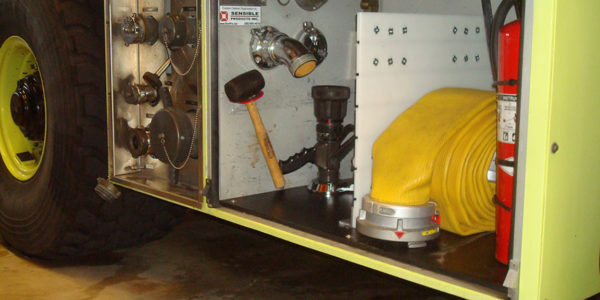 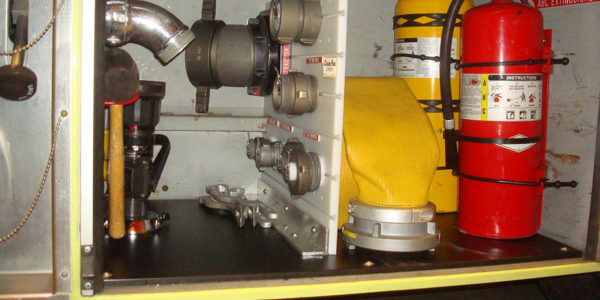 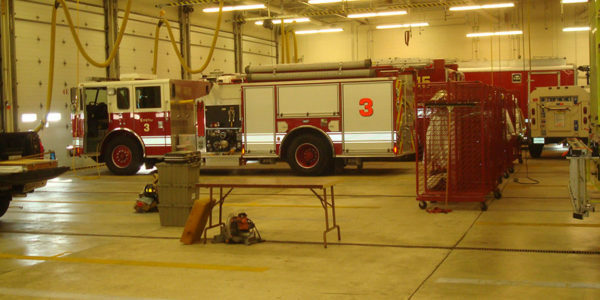 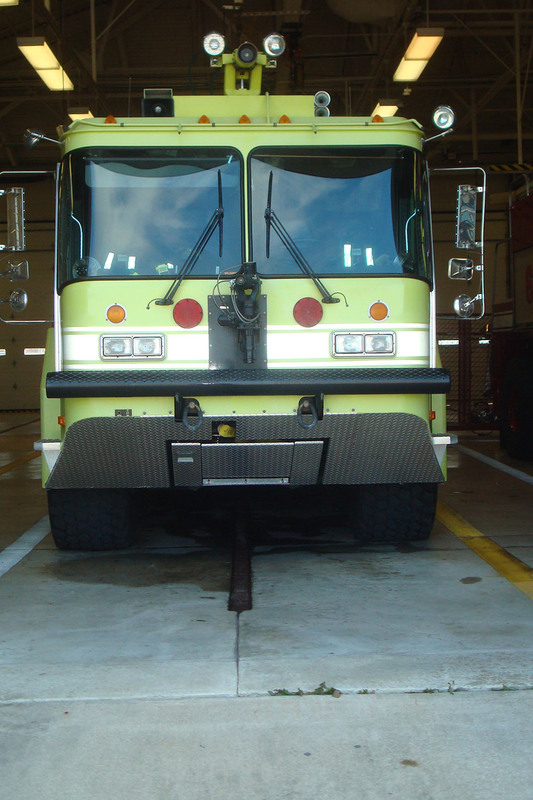 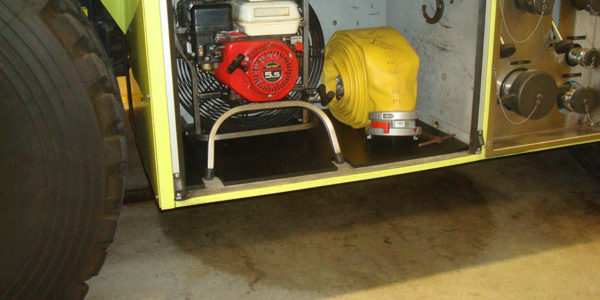 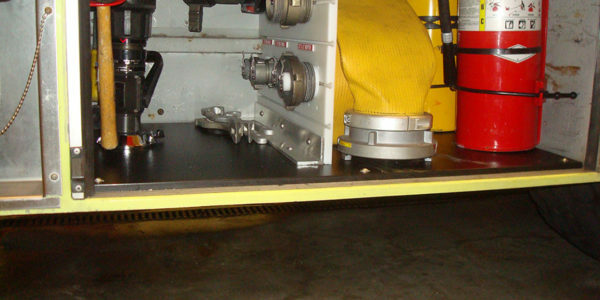 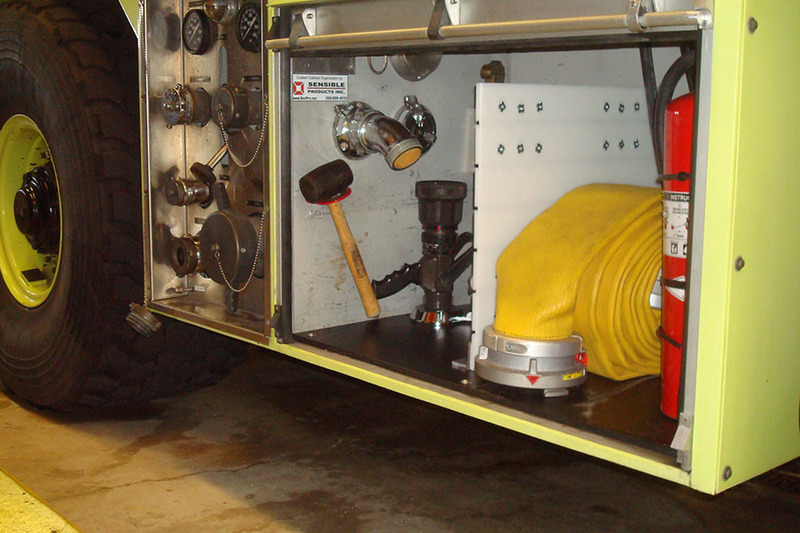 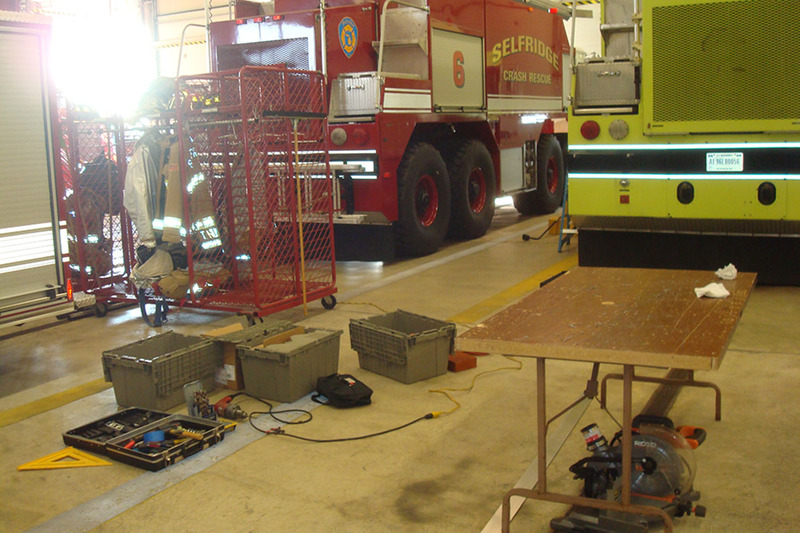 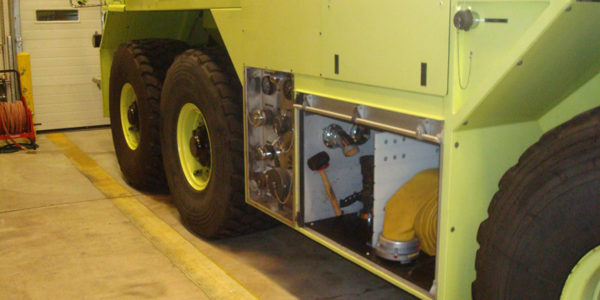 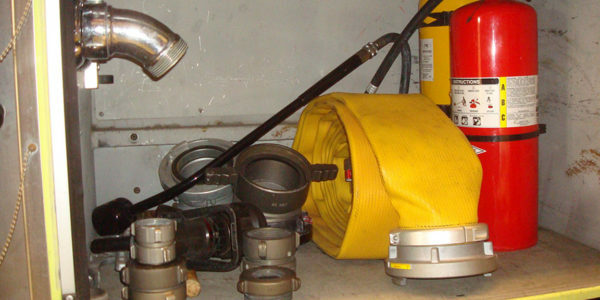 All work is completed on-site as these trucks can not be taken out of service.The outfitting consisted of mounting black floor boards, adding a Chanl Panl divider to mount water flow equipment, and mounting two extinguishers. 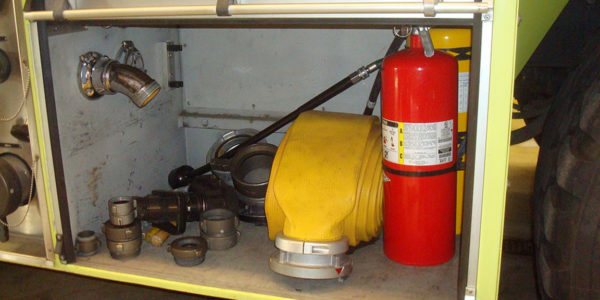 All equipment was labeled with red/white tags. 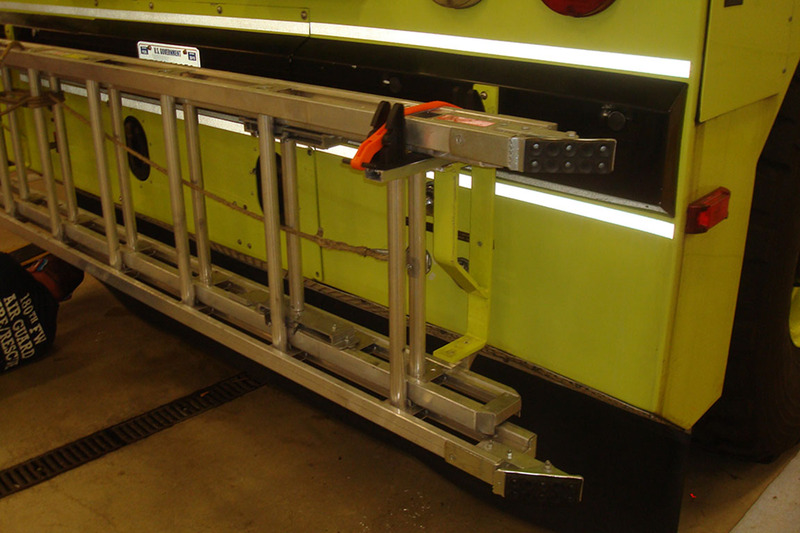 Two ladders were also mounted, one on Crash # 8 and one on another apparatus. 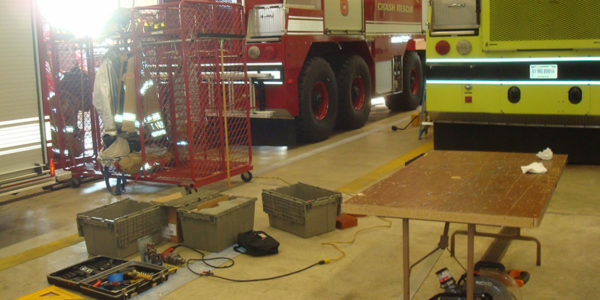 All work was completed in two 1/2 days with two technicians. 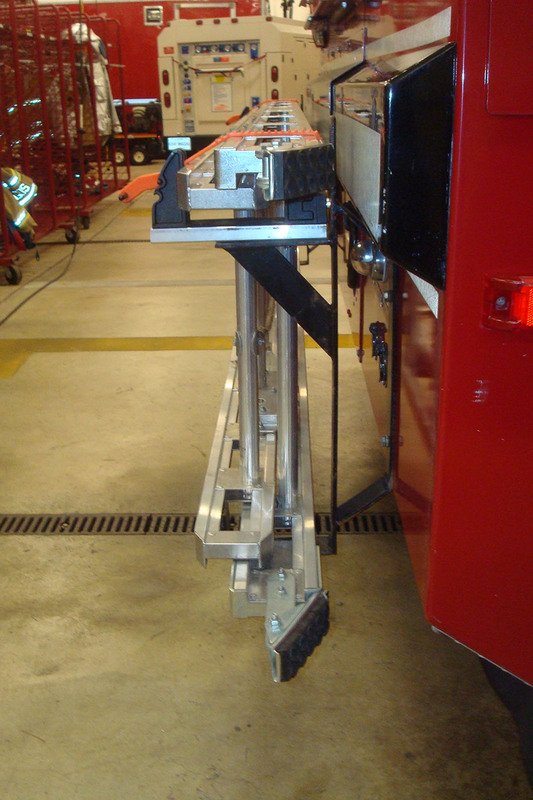 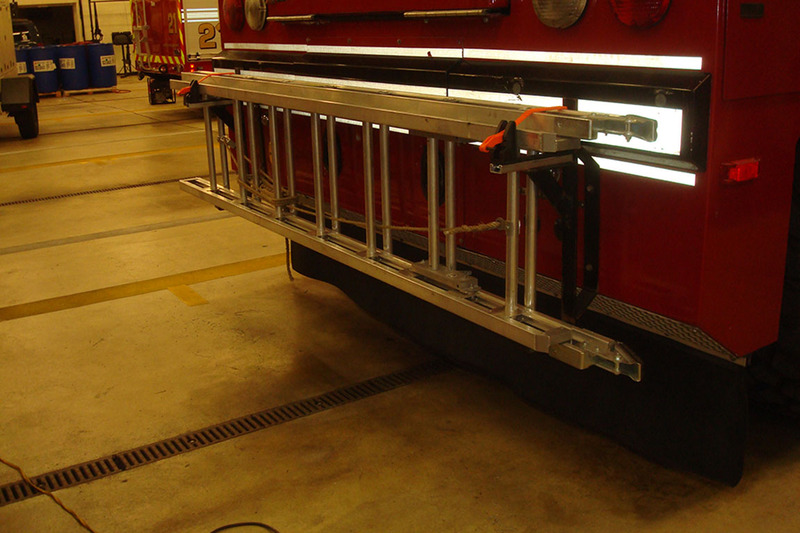 Match your equipment to our mounting products listed in our catalog. 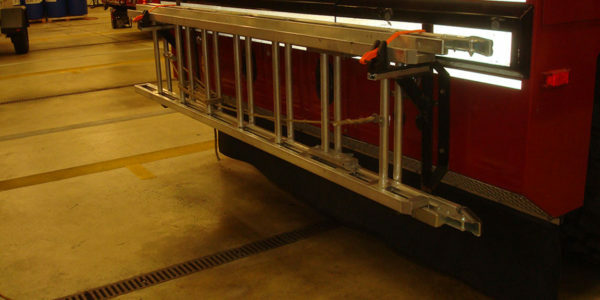 Custom mounts are available upon request. 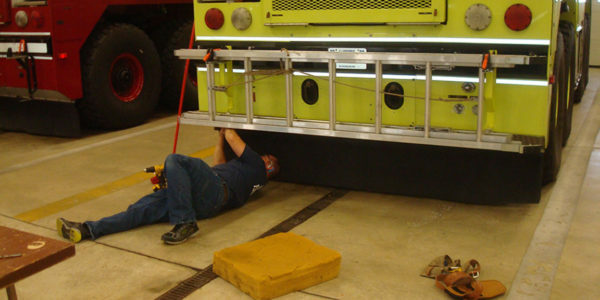 We will ship all mounting products complete along with mounting hardware. 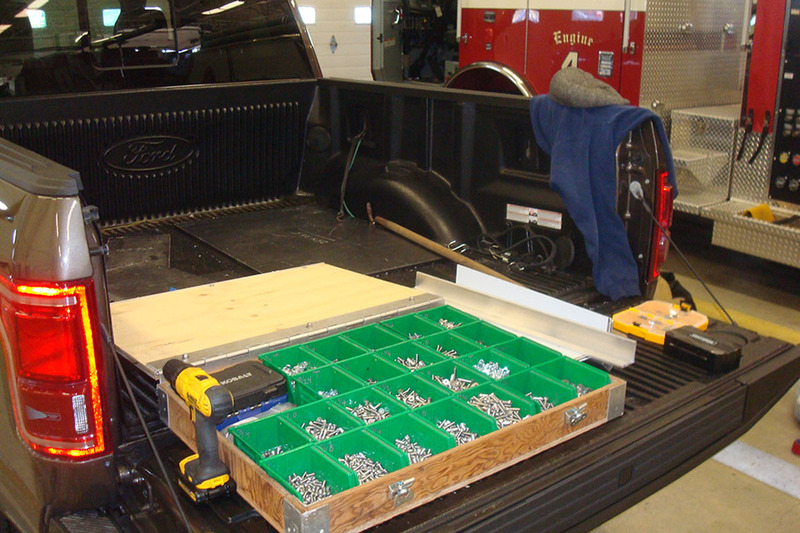 This will allow you to plan, layout, and mount all equipment at your facility. 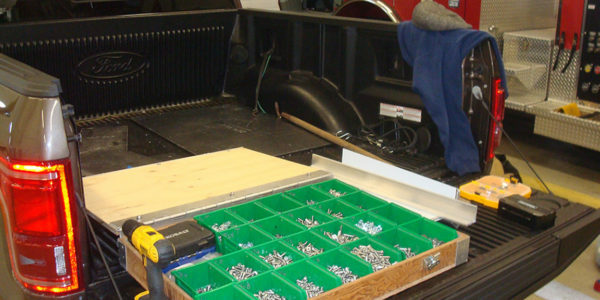 Contact us for help designing boards or configuring cabinets based on your equipment list. 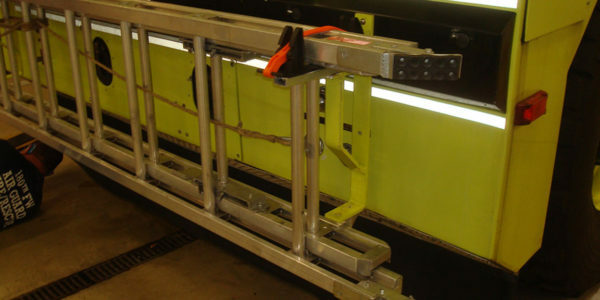 We will ship complete boards to you, ready for installation. 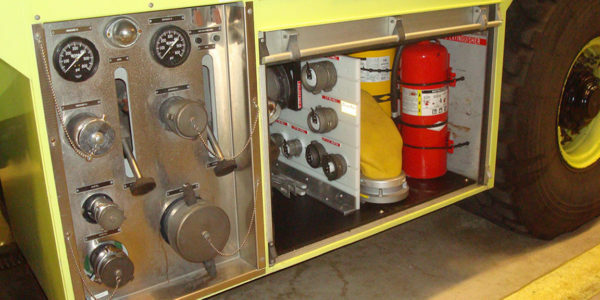 Send us your apparatus and accompanying equipment and we will do all the layout, fabrication, and installation. 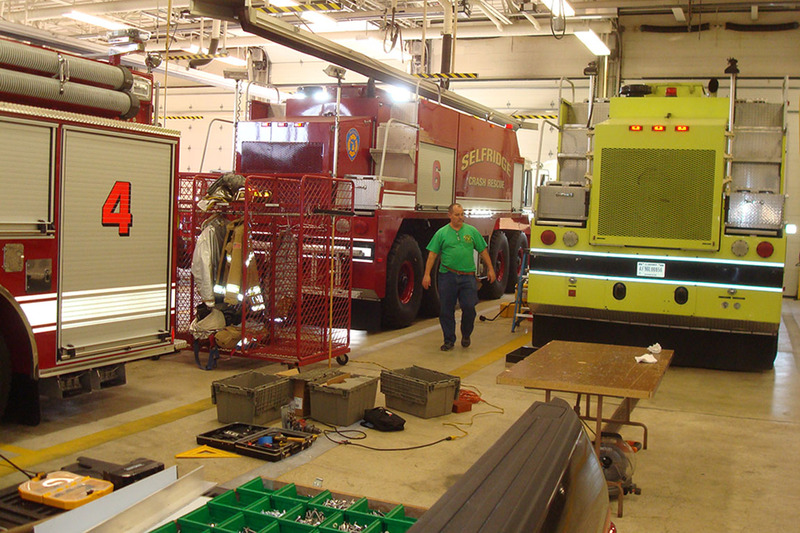 Your apparatus will be completely outfitted and ready to Go In Service when it leaves our facility! 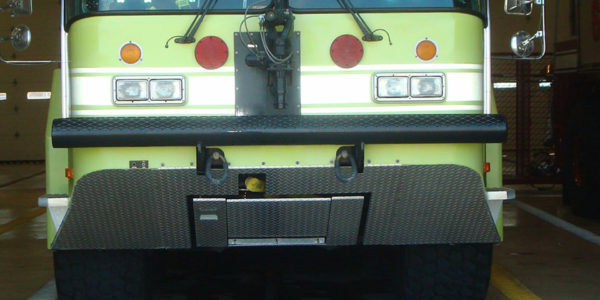 Contact us for outfitting large fleets as well.